Award winning 2015 ATAR student! Sarah Callow won the UWA Diversity and Merit Award/Scholarship for the top ATAR Aboriginal student. The award is valued at $2000. Sarah ended up with an ATAR score of just over 94 after adjustments for being a rural/remote student. 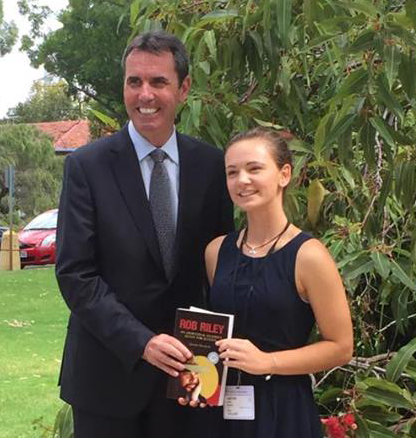 Sarah also received her Rob Reilly Award for the Top Government School ATAR Aboriginal student on Friday at Parliament House.